I don't remember exactly when I discovered time was a fluid concept, but I wish I could go back and feel that flash again. How shape-shifting, how small and simultaneously world-swallowing I must have felt! To understand, suddenly, that time could be compressed or stretched, that one could dash backwards or forwards in time, or perhaps extend the present indefinitely. To understand that nothing was fixed; to understand that just because we'll eventually be caught in amber doesn't mean we can't dream ourselves back to a day before fossilization. I wonder if I understood that as fictional as the concept may have felt, that memory and imagination made time travel a relatively simple venture? In any case, the moment must have made a forceful — if sadly forgotten — impression on me, because I haven't stopped tinkering with time since in my own fiction. 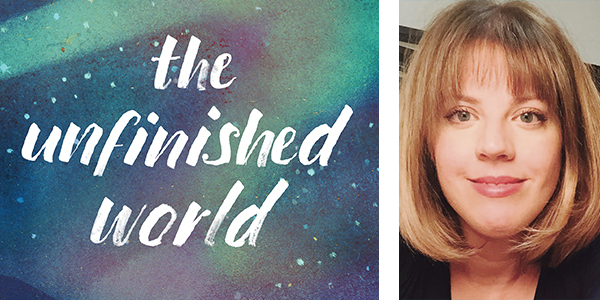 My second short story collection, The Unfinished World, out this month, is full of stories about time travel and time snafus and timetables turned upside down. Time is a character in much of what I put on paper. This impulse to write time — write around it, under it, through it, to bend and pull and snap it back — makes me sure I must have first encountered the concept in a book. And though I don't remember the moment, since then a massive percentage of my favorite fiction takes all kinds of liberties with time. I've come up with five types of books that screw with time, though obviously there are as many more as seconds in the day. But these categories contain some of my favorite books — and I hope, some that might become your favorites, too. I love a good time travel romp. Whether it's H. G. Wells's classic The Time Machine (which I confess I enjoyed just as much on the screen with the oddly-attractive-if-not-particularly-professorial Rod Taylor, and those terrifying Morlocks), or the sweetly cerebral romance of Time and Again, or any Connie Willis book (and most especially the hilariously fun To Say Nothing of the Dog, or the sad, textured plague story of The Doomsday Book) — I'll read just about anything that claims the protagonists are going to be flying or floating or whatevering around in time. It's probably the history buff in me, but I especially can't resist a backwards time traveler, trying to undo some wrong and breaking the whole timeline, as of course we the reader know they will from the moment they set out. I'll admit it: this is my favorite kind of book and also the kind of novel I someday hope to write. Three of my top ten novels, Nabokov's Ada or Ardor, Faulkner's The Sound and the Fury, and Marquez's One Hundred Years of Solitude fall into this category. The writers scramble timelines; play with memory, past, and future; and generally treat time as a fluid element rather than a setting or backdrop. Often, time itself becomes a subject for examination. In Ada or Ardor, it's the subject of the novel, and a springboard for philosophical examination. Of course, the most famous of these is probably Slaughterhouse Five, in which poor Billy Pilgrim gets "unstuck in time," traveling through time as well as through his own body's past and future. The literal representation of the absurd state the mind exists in: suspended between poles, future and past, desperately spinning out the present — I can't believe many topics could be more poignant or more relevant to the tragic condition of the human race. The most famous, of course, belonging here to Proust, and his several thousand page journey — his life and others, including the unfortunate Swann — all summoned during a bite of madeleine. To write this kind of saga-in-a-day (or hour, or moment) takes an extraordinarily skilled and observant writer, which no doubt is why some of our virtuoso writers have produced books in this vein. Mrs. Dalloway, by Virginia Woolf, in which of course the titular character relives a life in a day (and then some); Ava, by Carole Maso, in which the titular character relives a life during a death; The Seventh Day, by Yu Hua, in which a life is recalled in the several days after death. Reading these books is a double pleasure: the greedy gulp-down of the life story itself, and the astonishment at the author's skillful delivery of the epic through the minute. Anyone who's read my fiction would probably be unshocked to know how much I adore fairy tales and fables. And books about fairy tales — or Faerie proper — usually feature a sideways magic and strange bends in time. I love Kelly Link's stories about Faerie and fairies, which capture uncanny and untamed other worlds, and the shrinking and growing slipstream aspect of that time against the human world. Molly Gaudry's We Take Me Apart does a heart-hurting job of exploring this bending time, as does Diana Wynne Jones's Fire and Hemlock, where timelines double back on themselves and wild magic feeds the fires of second chances and even childhoods. Three favorites, Sheri S. Tepper's Beauty, John Crowley's Little, Big, and Jonathan Strange and Mr Norrell, by Susanna Clarke, all beautifully portray the dangerous tricks of time inside the fairy realm, and what the promises that magic makes might cost. What better way to cheat the laws of physics and life-expectancy, and retain your protagonist through a much longer story than a single life? Whoever invented the reincarnation plot device was damn clever. Particular favorites include Mo Yan's Life and Death Are Wearing Me Out, in which our hero chronicles the Cultural Revolution in rural China while living out a series of animal lives; Kate Atkinson's Life After Life, where our protagonist keeps dying and getting another go at it (which creates a mystery — what is she here to fix? And oh, how I love Atkinson's mysteries); and The First Fifteen Lives of Harry August, by Claire North. In that one, our hero is born again and again and again, to the same exact life. How better to channel regret, to create hope where none could otherwise be possible, to dance with dinosaurs, sing on the future moon, and yes, try to kill Baby Hitler? Time may march on, but we don't march in lockstep with it. The way we tell our stories is not linear or logical. We live alongside our emotions, our best memories, our worst fears. Centuries sail by, and seconds hang like long dewdrops on flowers. So why not write our books to reflect our unstuck selves? It's the funhouse mirror reflection that we finally come to resemble, the to-and-fro version of ourselves — I hope I'll always remember that when I'm scrambling the fictional clock. 4 Responses to "The Scrambled Clock: My Favorite Books That Screw Around with Time"
Very nice topic, Amber. I am also enthralled with time manipulations in movies and books. Although this book doesn't deal with "screwing around with time" directly, it still leaves you with the same feeling of awe: "The Good Soldier", by Ford Madox Ford. It has nothing to do with war, but rather relationships and is told in a series of non-chronological flashbacks from the perspectives of different people, each with different views. It was once on PBS, too. Check it out on Wikipedia. Very slightly similar is the 1983 movie "Betrayal" with Ben Kingsley, Jeremy Irons, and Patricia Hodge. It moves backwards chronologically to great effect. Although some criticized it as a gimmick, Roger Ebert said its effectiveness and poignancy was due to the viewer knowing at each step more than the characters did about the stages of their relationship. This review can also be found online. Amusingly, a Seinfeld episode was modeled after this. There are lesser known titles; home grown titles - even here on Powells ponto com - that break down even more novel notions of contorted space-time. Locally grown; internationally spread like peanut butter across what ever platform the reader prefers to be toasted. Nice roundup! Wish she had maybe mentioned fewer books but gone a little more in-depth. Still will require more research before I can decide which ones I'd like to read. How about THE TIME TRAVELER'S WIFE? I enjoyed it quite a bit.